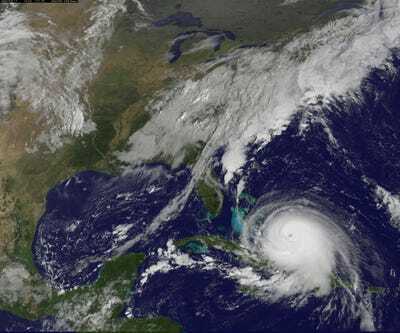 Hurricane Joaquin is barreling across the Bahamas and potentially down the Atlantic coast, as a Category 4 hurricane. The category of tropical storm a hurricane is in as makes landfall actually make a big difference on the amount of damage it could inflict. It’s tough to predict what category Joaquin will be as gets closer to the East Coast. Hurricanes typically lose intensity over time, so their category usually decreases as they get closer to land. Hurricane Katrina, for example, reached a Category 5 storm out at sea, but hit New Orleans as a Category 3. Similarly, Hurricane Sandy was technically a post-tropical cyclone when it hit the East Coast, though it was a Category 3 at one point. And what could the damage be if a hurricane were to make landfall as a tropical storm, or a Category 1, 2, 3, 4, 5? 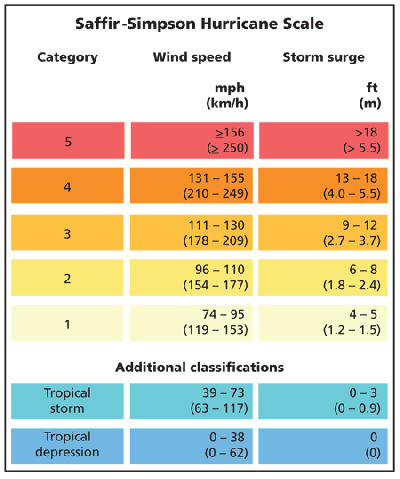 The Saffir-Simpson Scale categorizes a hurricane based on its wind speed. Category 5 is the worst, while tropical storms and depressions generally cause less damage. Less intense hurricanes are generally more common than 'major' hurricanes, those that are Category 3 and above. 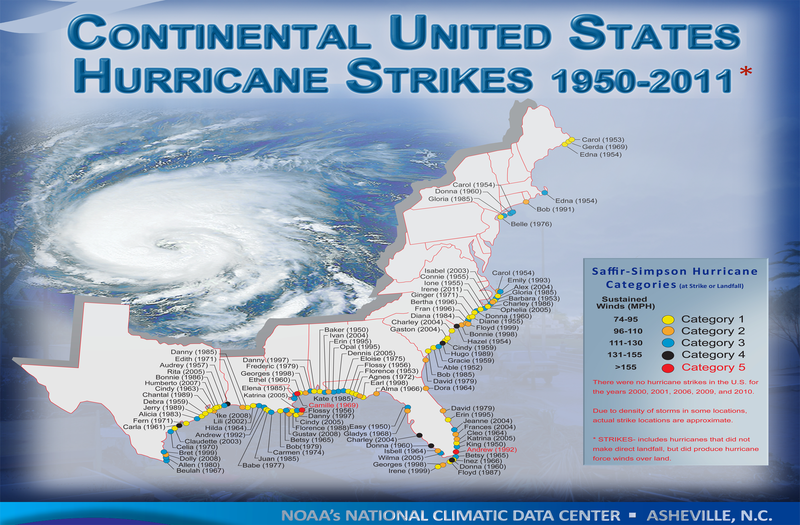 In the map below you can see how many of these storms hit the continental US from 1950-2011, colour-coded by category. But Hurricane Katrina was technically a Category 3 when it made landfall in Louisiana in 2005. 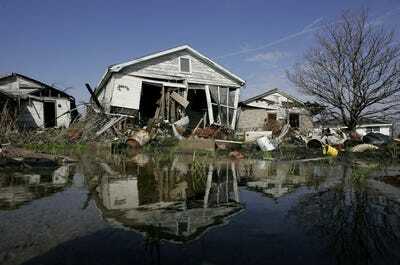 A damaged home in the Lower Ninth Ward in New Orleans, Louisiana is still uninhabitable months after Katrina hit.